Magic Twists Entertainment is located in the Houston area. Please contact Magic Twists Entertainment at (832) 704-0209 or MagicTwists@mail.com to check for travel to your area. Travel charges may apply for your event. For Special events such as Corporate Parties, Picnics, and Multiple day events or on Holidays, please contact (832) 704-0209 for a consultation. $100.00 usd per hour. Travel charges may apply. Deposits are required at the time of booking and are non refundable. Please contact (832)704-0209 or magictwists@mail.com for a quote. This will appear on your booking confirmation and is agreed upon between client and Magic Twists Entertainment at the time of Deposit/Booking. 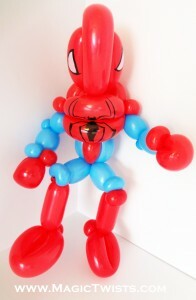 ** The Balloon Artist does NOT carry cash and will be unable to assist in making change. ** Magic Twists Entertainment is not responsible for children. Adult supervision is required. As an Entertainment service provider we offer only G rated balloons and will not accept requests of an inappropriate nature. We are not responsible for any damage incurred to property from performances or decor. Balloons should not be placed in the mouth or chewed on. Magic Twists is not responsible for injuries obtained by the improper use of balloons including wrapping around throats, placing in mouths, latex allergies or accidental swallowing of LEDS or latex etc. 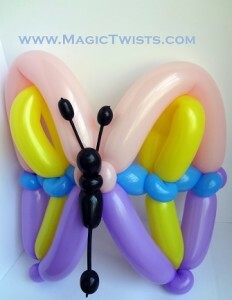 Magic Twists is not responsible for injuries from balloons through accidental or purposeful poppings. We are not responsible for infants/toddlers. Balloons requested for infants/toddlers are at the sole permission and request of the parent/guardian and proper handling of balloon with infant/toddler is at the sole discretion of the parent/guardian. 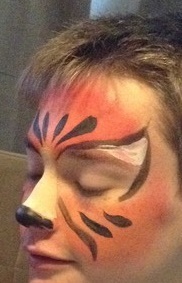 We are not responsible for any allergic reactions due to face painting. All paint products used are FDA approved, paraben and fragrance free and suitable for sensitive skin. The client is responsible for reviewing this confirmation and contacting Magic Twists for corrections. Magic Twists is not responsible for address, date or time slot errors of bookings if not clarified by client via email. Cancellations for Private parties must be done by email /not phone/ with a minimum of 36 hours advanced notice. Deposits are non refundable. Private Parties are parties which are residential and have 30 or less guests. Accepted forms of payment include Cash, Check or Credit Cards.